FREE Maybelline Great Lash BIG mascara in Times Square — right now! 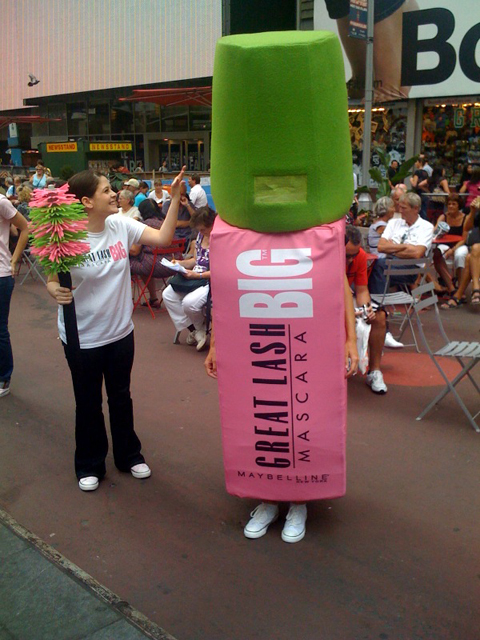 If you want FREE mascara, some Maybelline girls are passing out the new Great Lash BIG Mascara in Times Square, 47th and Broadway. They’ll be there from now til 6 pm so get on it! After you get your free mascara and a coupon for your next purchase, you can take a picture with the blow up mascara and it will end up on the Jumbotron in Times Square. You can tell everyone your pic was in Times Square for real. Take a pic with the giant mascara after you get your free one! Going to try it soon. It’s a bigger brush that’s mean to give great volume and body to your lashes. 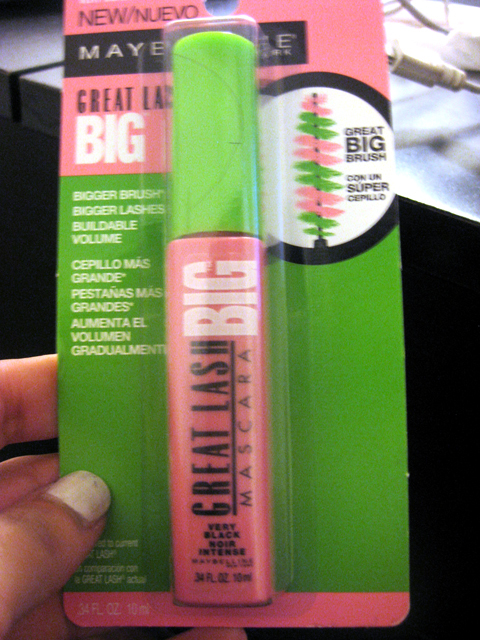 I just hope it’s better than their overhyped Great Lash original. Can’t say that one is my favorite, but I do love the brush bristles in their signature green and pink colors on this one. We’ll see how it fares. Get out there soon and get your free one now! UPDATE: Total sike out: it shows the bristles are pink and green on the packaging, but it’s just plain black so don’t get your hopes up on that! But, I did try it, and I actually like it. It doesn’t give a lot of body, but a more natural, feathery look. Widens the lashes almost. I give it a B-. where’s your pic with the big mascara?